With the kids away your home is likely to be empty for the majority of the day providing the perfect opportunity for burglars to break in. According to the Federal Bureau of Investigations, 156.6 billion dollars was lost due to property crime in 2012. Home security service providers like Protect Your Home, ADT Authorized Premier Provider not only provide you with state-of-the-art security systems, but they also monitor your home 24 hours a day. It is a fact that burglars look at back to school as a sale; only they are not paying for any of the valuables they plan on taking from your home. Thieves have the job of casing out your property and determining who will be home, and who will be away at school or work. Having security technology can help protect your children and your home. Thanks to advances in technology, your home security provider can alert you when your child has made it home safely. Some packages have SMS text messaging that sends you an update when the child is home and the alarm has been set. You have the ability to set the alarm from your office, car, gym, or any other place, as long as you are using a web-enabled device. This is beneficial in case your child forgets to set the alarm once he leaves for school. You can also disarm the alarm system for your child once he returns home from school. 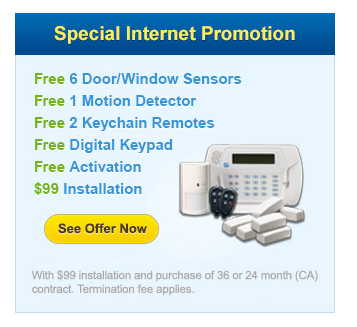 Inquire about a secret alert system feature that allows you to set sensors around your house. The sensor alarms are great for rooms and areas of the home where you have stored medicine, alcohol, guns, or any other items you want to help keep out of the reach of your children. If the sensor is tripped, you will be notified immediately. A home security system can help protect your children while they are inside the house, but as a parent, you have the responsibility of protecting your children when they are outside of the home; therefore, it is important that you teach your children safety habits to practice all year, but especially during the school year. We have some back to school safety and security tips that you should share with your family. Being prepared is the best safety measure you can take in today’s society. Go over the rules of answering the door when a parent or adult is not at home. Leave a list of emergency family and friend contacts for your child. Teach your children the importance of how to contact the police, fire department, and other important emergency departments. Develop a safe route to and from school, or the bus stop and make sure your child does not take a detour. Explain the importance of crosswalks to your child. Many accidents occur when children are crossing the street. You will need to teach your children how to arm and disarm the security system in your home. You have the ability to do this from any mobile enabled device, but your children should know how to operate the system themselves, in case an emergency situation arises and you are unable to respond. Do Not Fuel Curiosity – This is a very important tip. Your child should contact the police immediately if they come home to find the property has been burglarized. Explain to your child how dangerous it is to explore the home in search of the burglar. Tell your children to walk to a trusted neighbor’s home or a nearby business to contact you and the police immediately. 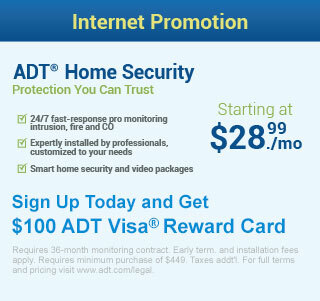 If you’re ready to invest in your family’s home security, you can call 1-866-946-8419 to speak with ADT Authorized Premier Provider representative who will help you select the right system for your home’s safety. Compare package and pricing here.